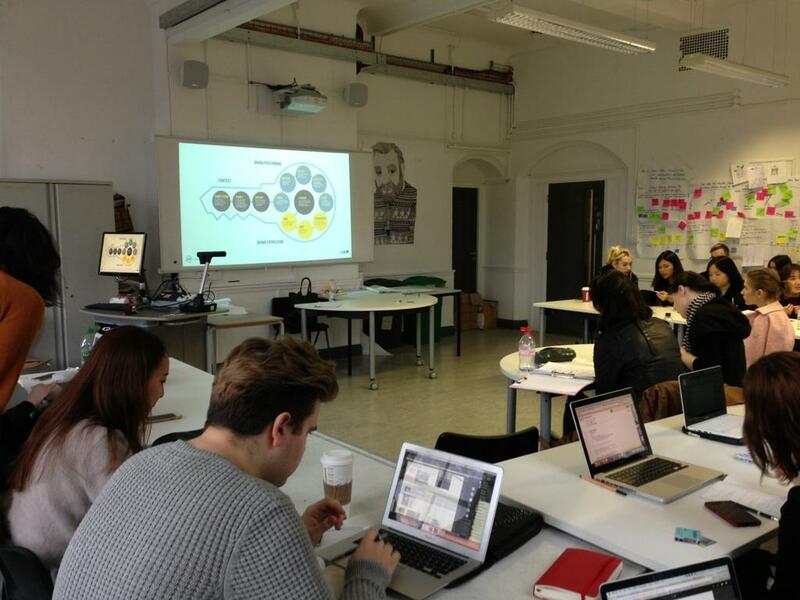 I-AM was recently invited to speak to the final year Communication Design students at London College of Fashion about the importance of consistent branding. With the focus on students’ final projects, we presented the I-AM agency methodology to forming brand personality as well as consistently adhering to DNA, values and above all, the importance of creating a relevant ‘brand essence’. Giving examples of brands that confuse their messaging through to those that do it well, we were able to highlight the importance of building credibility with the consumer through consistent messaging across all touch points – from visual identity through to tone of voice, campaigns and collaborations. We discussed the successful fashion based projects we have created at I-AM, including our work with Deloitte Digital and their experiential retail experience for Eastpak, the consistent brand messaging from our New York eyewear client MOSCOT, and the changing face of tailoring brand Clements & Church, who we are helping to re-launch in early March this year. Following our presentation, we work-shopped with the students to help them identify the ‘essence’ of their brand subjects. With a focus on activating a retail space and experience, brands ranged from established luxury like Givenchy through to newer designer labels such as Henrik Vibskov, as well as a project on sustainable fashion and the interactive design of fashion shows. The output for the students was a better generic understanding of how brands become successful through communication and the fine-tuning of their essence/platform – something every brand activation should use as a sense test. The session was an education for us all and we’re looking forward to continuing our partnership with the London College with another presentation coming up, as well as hosting some of the students here at I-AM.